Anyway, I digress. 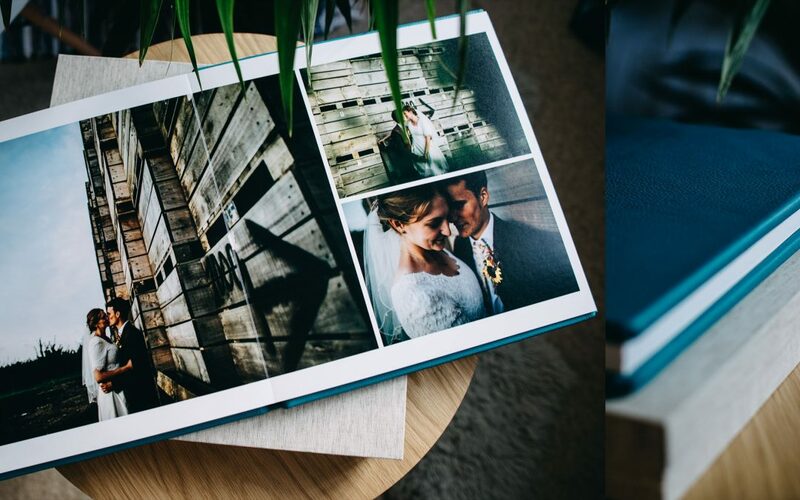 My points here are 1) printed photographs are really important and 2) we never have the time to print and collate, and with that in mind I wanted to spend a bit of time talking about why having a wedding album is so important. I mean yes, you can look through hundreds of photos on a screen but that means firing up the computer, digging out your memory stick or looking at them in tiiiiiny on your mobile phone. There’s something much more lovely about sitting down with a brew and looking though an album of printed images. Also, your grandparents will find looking at photographs digitally really odd and probably overwhelming and would much rather enjoy the printed finale! Remember minidisc players? What a fad! Some computers no longer has USB drives, my iMac doesn’t have a CD drive, everyone has music on their phones… You can see where I’m going. Although I deliver images digitally and on USB, I have no idea if that’s really future proof… What’s more data can corrupt! (PS have you backed up your images somewhere?) Printing your photographs in a beautiful album means that your images will exist for a life time and longer. I solely use QT Albums for all my albums; they produce handmade albums that are built to last and album pages are printed on darkroom fuji paper that is really durable. I love looking back at old photographs and I know my kids do too… It absolutely makes my heart swell to think that photographs I take for myself and for my clients could be looked backon in 100, 200 years time as a little snap shot of my family’s history, and your wedding album should definitely be part of that legacy. Because it looks beautiful. Fact. Almost as good as just because. 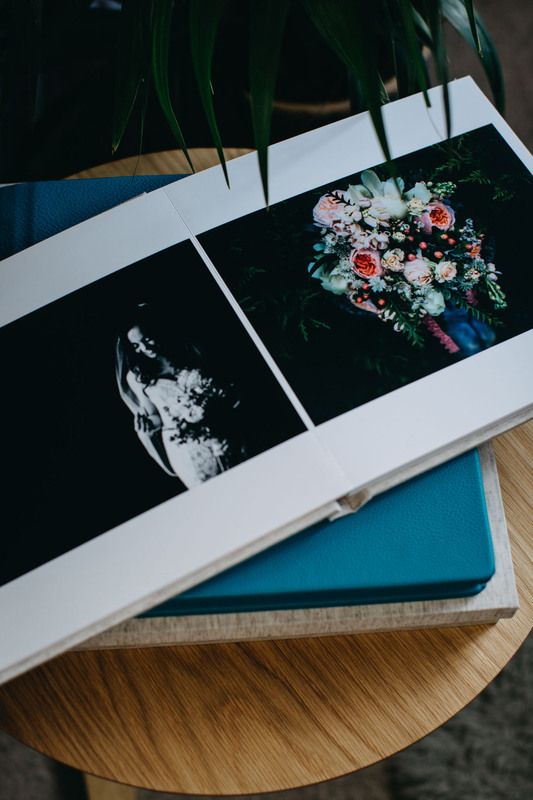 You planned hard to make your wedding day exactly as you wanted and you invested in photography to capture your day, why wouldn’t you want to put your photographs into a beautiful album? BUT CAN’T I JUST GET ONE FOR CHEAP ONLINE? Well yes, you can, that’s your right and my clients have a print license that allows them to do just that. However, a) we’ve already established that we don’t have enough hours in the day and b) buy with caution. Put simply, you’re definitely not going to get the same quality buying from a high street supplier that you will from an album maker who supply only directly to photographers. Their print is likely automated too, so there’s no guarantee that the colours will be consistent and that print will be of good quality… I’m sure she wont mind me saying, but my best friend made her album online with a well known high street print company – she’s got duplicate images (It’s my job to check that… in fact the way I design albums is fool proof to stop this happening) and she used images that weren’t high enough quality so the result is pixelated images in the finished product. When you buy an album from your photographer, you’re investing in an heirloom, not just a photo album. You’re also investing in their eye and skill to lay out your photos and create the most gorgeous design with the images you choose. 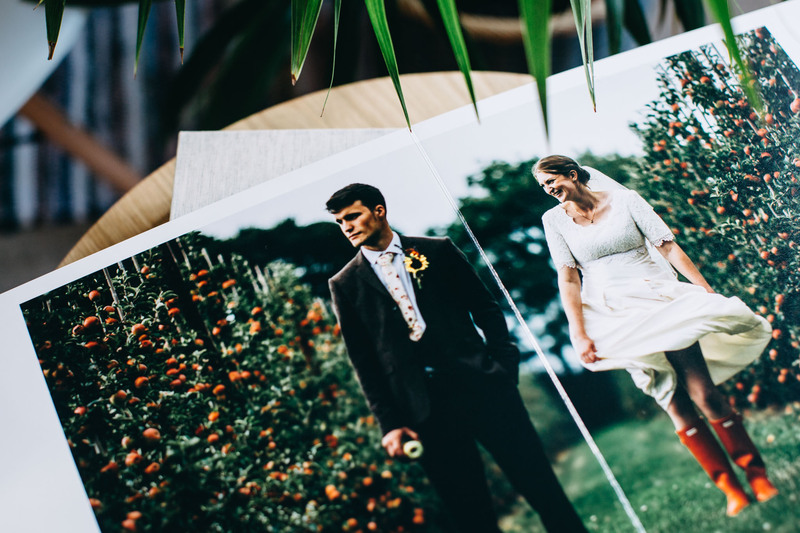 Your photographer likely has a relationship with their album suppliers and knows that print quality is excellent and that colours print the way they want them to print, so your photos look as good in print as they do on screen. 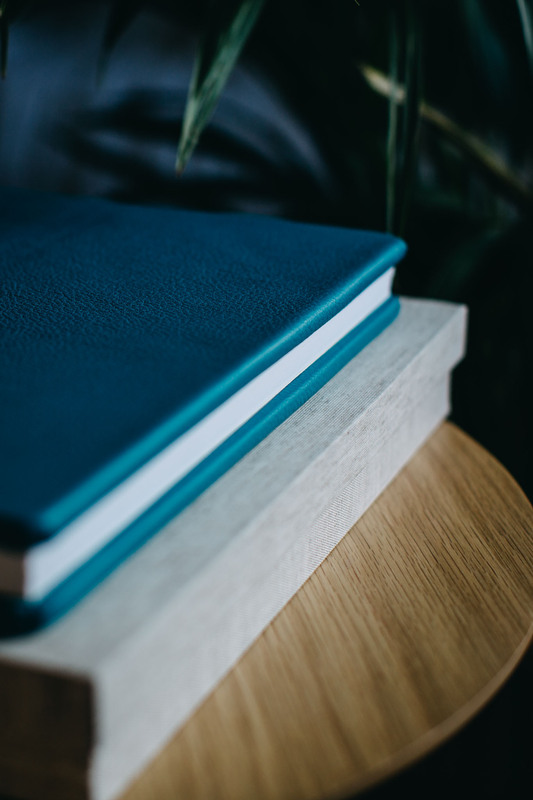 Did you know that wedding albums make suitable wedding anniversary presents for at least the first four years of married life? Just choose the appropriate paper to print on or cover for your album! …of course they also make excellent gifts at any other point in the year too, or thank you presents for parents and grandparents who may have contributed towards making your wedding what it was. I offer albums at the point of booking, but many of my clients come back to after their wedding to buy their albums when their bank account is looking a little more flush. I’m seriously sentimental and I’m also passionate about albums and making albums for my couples. My move to QT Albums at the end of last year was all about supplying my couples with an exquisite product and better value for money; if you’d like to see some sample albums in the flesh then feel free to drop me an email arrange to pop in for a brew and a gander. 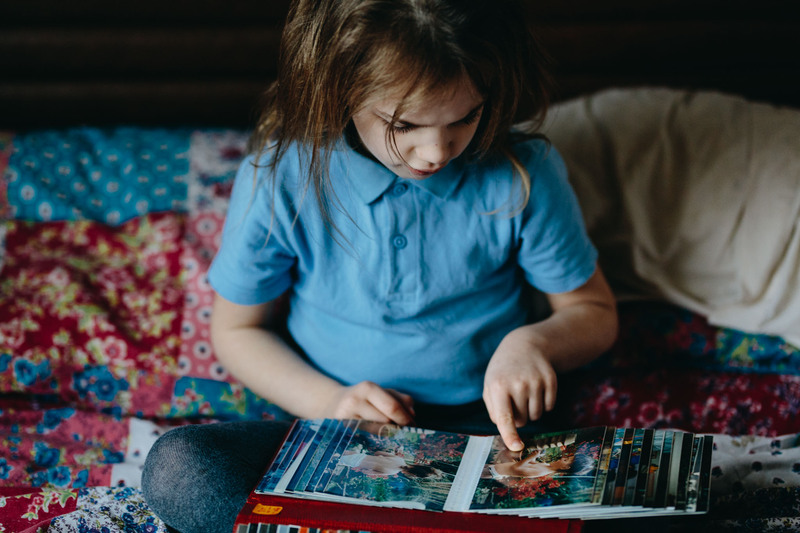 Think long and hard about how you want to preserve your photographs, how you display them and how you ensure you create photographic legacy for your family. If you want to read about what my couples think of their album, head here, and if you’re ready to buy your album, I’d love to hear from you – speak soon!